I noticed a new electric shaver, the Norelco OneBlade, which has the appearance of a safety razor, and can shave a length of the face in one stroke, but actually is electric with a foil screen (see pictures). Any chance you could weigh in as to whether you think it would be acceptable for a man to use on his whole face? Thanks! Before we can address the specific shaver in question, we must first look at the halakhic permissibility of electric shavers in general. In two separate verses, the Torah prohibits men to shave their beards. In parashat Kedoshim, the Torah states: ולא תשחית את פאת זקניך, “You shall not destroy (tashchit) the corners of your beards,” (Vayikra 19:27). Two chapters later, in parashat Emor, addressing the male Kohanim, the Torah states: ופאת זקנם לא יגלחו, “The corners of their beards they shall not shave (yigaleichu),” (Vayikra 21:5). The Talmud (Makkot 21a) states that these two verses are not two separate prohibitions, one for Kohanim and one for all male Jews, but rather constitute one prohibition that applies equally to all Jewish men. According to the Talmud, the different verbs that are found in these two verses – destroying (hashchatah) and shaving (giluach) – teach that the only prohibited act is one that has both of these components: an act of shaving that fully destroys the beard. Thus, one may use a scissors because it does not cut away the hair fully and leaves stubble behind. Conversely, one may also use a tweezers to pluck his beard hairs; although this fully destroys the hair, it is not shaving (i.e. cutting) but rather plucking. The Talmud concludes that one only transgresses if he uses a razor (ta’ar) which cuts the hair and leaves no stubble behind; all other forms of shaving one’s beard are fully permitted (see Kesef Mishnah on Rambam, Laws of Avodah Zarah, 12:7, contra Chinukh, mitzvah 252). Elsewhere, the Gemara deals with an implement that is between a scissors and a razor: מספרים כעין תער, scissors which are like a razor (Nazir 40a and 58b), presumably scissors which are used to cut the hair very close to the skin (see Rivan (pseudo-Rashi) and Tosafot ad. loc., and Rambam, Laws of Nazir 5:11). This type of cutting is prohibited in the case of a nazir. When it comes to cutting one’s beard, however, Rishonim state clearly that this is permitted even when one cuts very close to the skin (see Tosafot Shavuot 2b, s.v. chayav and Rosh Makkot 3:2). In ruling on electric shavers, a number of poskim state that the history of their use in the Jewish community was a relevant factor in their psak. When electric shavers were first introduced they were used widely in Germany, Hungary and Lithuania, even among yeshiva students. Because of this, many poskim, including Chelkat Yaakov, Yitzchak Yeranein and Rav Ovadya Yosef, start by assuming that electric shavers are permitted. While the shavers a century ago did not provide as close a shave, nevertheless, this widespread practice serves as a departure point for these poskim. Some poskim also note that being strict here may be counterproductive (a “stringency that brings about a leniency”); if men are prohibited to use an electric shaver, they may just choose to use a straight-edge razor. Until the advent of electric shavers, it was relatively obvious which implements were considered razors and which were considered scissors. Modern electric shavers, however, are hard to categorize. On the one hand, they provide a very close shave rivaling that of straight-edge razors. On the other hand, they operate more like a scissors than a razor: they cut with the use of two blades operating in conjunction (the hair is held by the screen and cut by the rotary blades), they cut without the blade touching the skin, and they cut only a small section of the hair at a time. Not surprisingly, there is a debate amongst the poskim regarding the status of such shavers. Result. If a totally clean shave was achieved, that is, if the hair is cut away from its very root, it is forbidden even if done with a scissors. If some stubble is left, it is considered cutting by scissors and permitted. Process. A razor action, defined here as cutting with the sharpness of a single blade, is forbidden. A scissors action, defined here as cutting with the joint action of two blades, is permissible even if it produces a totally clean shave [other ways of defining razor-like cutting as opposed to scissors-like cutting exist, see below]. Let us look at the halakhic implications of these three approaches. Result-based definition – is it a clean shave? According to a result-based definition, electric shavers should most likely be forbidden, as they produce a close shave that leaves behind no stubble. Shevet HaLevi, Minchat Yitzchak and others adopt this position and state that even those who permitted electric shavers when they first appeared would forbid contemporary electric shavers that produce such a close shave. These poskim generally permitted the use of electric shavers when it was possible to feel some stubble on the face. Some also allowed them to be used if the man would not press the shaver too firmly against his face, although others were quite skeptical about how realistic this suggestion was. There are a number of poskim who adopt this result-based definition, but nevertheless permit the use of shavers. They argue that shavers do not produce as close of a shave as a razor since the screen in front of the shaver blades always stands between the skin and the blade. A razor, in contrast, cuts directly at skin level, and thus produces a closer cut. Although the hair left behind is at times smaller than .01mm, and the minimum size of hair to be of halakhic significance is that it be “long enough to be lifted up by a tweezers,” here the issue is not whether “hair” has been left over, but whether hashchatah, a full removal of the beard, has been achieved. Anything less than a cutting of the hair at the base and against the skin would not be considered a fully clean shave and hence be permitted. Process-based definition – does it cut like a razor? Does the blade cut directly against the skin like a razor, or above the skin like the cutting blade (as opposed to the stationary blade) of a scissors? Rav Tzvi Pesach Frank and Rav Yosef Eliyahu Henkin, among others, rule that shaving is only forbidden when the blade comes in contact with the skin. According to them, shaving with a shaver is permitted because the screen prevents the blades from touching the skin. Some of these poskim are concerned that the skin might be pushed into the screen and the blade would then cut directly against the skin; as a result, they instructed people to not press the shaver too hard against the skin. However, there does not seem to be any real basis for this concern as some poskim already noted. Single- or double-blade action. Chelkat Yaakov, Rav Moshe Feinstein (by attribution), Rav Ovadya Yosef and many others state that a razor is defined as something that cuts using the sharpness of a single blade, while a scissors cuts using the joint action of two blades. 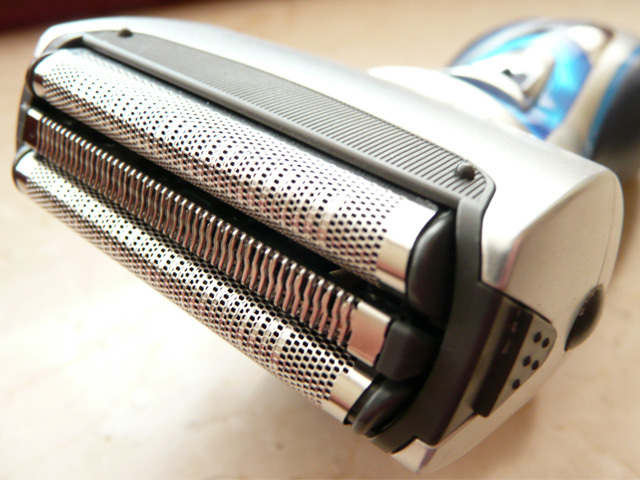 An electric shaver generally cuts in the following way: the hairs enter through slits in the screen, and the rotating blades (or oscillating blades, in the case of a foil razor) cut the hairs as they are being held by the screen. 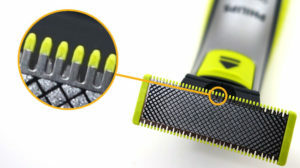 The blades are generally not sharp enough to cut the hairs without the holding action of the screen. Accordingly, a shaver is classified as a type of scissors and permissible for use. Many poskim who follow this approach, including Rav Moshe Feinstein (by attribution), state that shaver models with very sharp blades may still be problematic. If the blades of these shavers are sharp enough to cut individual hairs without the support of the screen, then they would be forbidden. Although such shavers would normally cut with a dual-blade action, there is a concern that there might be instances where a blade would cut a hair without the holding action of the screen. Those who express this concern advise people to not use such shavers or to dull their blades by rubbing a key against them or the like. Other poskim believe this not to be necessary, stating that no serious possibility exists of of the blade cutting without the use of the screen, a position supported by scientific studies. In my experience, in non-Haredi communities the accepted practice is to follow this latter position, and to use all models of electric shavers without concern for the sharpness of the blades. Can it cut many hairs at once? Two contemporary poskim have suggested a new definition. Rabbi Shabtai Rapoport has argued that the defining characteristic of a razor is that it can cut a lot of hair with one motion. A shaver, which cannot do this, would be permitted. A similar argument is made by Rabbi Nachum Rabinovitch, who states that a razor can shave off many hairs, even long ones, at one time. Since a shaver, like a scissors, only works on a small part of the face at once, and since it can only cut short hairs, it is not considered a razor, and may be used. According to this, all shavers would be permitted, regardless of the sharpness of their blades. Instrument-based definition – is it a razor? A number of authorities argue that the key definition is not how the cutting was done, but what instrument was used in the cutting; only an instrument that is “normally” used for shaving is considered a razor and forbidden. The author of Menachem Meishiv posits that nowadays, when it is normal to use a shaver, an electric shaver would be considered “a razor” and forbidden. In contrast, Rav Moshe Feinstein is quoted as having said that even today a razor remains the normal instrument used to achieve a perfect shave, and hence a shaver remains “not-standard” and may be used. Others argue that a razor is defined by what was the normal instrument for shaving during the time of the Torah, and thus an electric shaver would certainly not be a razor. It is not a totally clean shave. The screen ensures that a minuscule amount of stubble is left behind. 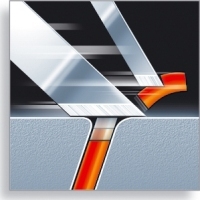 The cutting is a scissor-like cutting because it is a dual-blade action and because the cutting blade does not touch the skin. The cutting is not razor-like as the shaver does not cut many hairs at once and cannot be used to cut long hairs. Shavers are not razors because they did not exist in the time of the Torah or because they are not the instrument used when a person wants the closest possible shave. The different reasons for permitting electric shavers produce different psakim for certain types of shavers. Let us look at two examples – those with a lift-and-cut mechanism, and the shaver you asked about, the Norelco OneBlade. Lift-and-cut shavers operate as follows (see picture): in front of each cutting blade sits a second (dull) blade whose purpose it is to pull up the individual strand of hair. Once the hair is being held in the screen which sits between the shaver blades and the face, the second blade pulls on the hair, lifting its root slightly out of its follicle and above skin level. The sharp blade then cuts the hair, and the remaining length of the hair that is above the face recedes back into its follicle, thus producing a fully clean cut (at least in theory, some question the effectiveness of this mechanism). This type of electric shaver shaves as close to the face as a straight-edge razor! Would it be permitted to be used? If one adopts the first reason – the lack of a fully clean shave – to permit shavers, then the answer would be no, and there are poskim who forbid using this shaver or require that the lift-and-cut mechanism be removed. If we adopt reasons 2 or 3, they would be permitted. The mechanism is still a dual-blade action, the blade does not touch the skin (reason 2), and these shavers cannot cut long hairs or many hairs at once (reason 3). As far as reason 4 is concerned, such shavers are definitely not razors, since they are still not the preferred instrument for getting the best possible shave and certainly did not exist at the time of the Torah. Let us now look at the Norelco OneBlade. I have not been able to see a detailed diagram or video of the cutting mechanism, but based on my research it appears that these shavers operate on the same principle as foil shavers. A screen sits between the face and the blades, the hair is held by the screen, and the blades oscillate extremely rapidly when cutting the hair. The only difference is that the screen is more of a comb – the hair does not enter into a chamber but sits between the teeth of the comb. This allows the shaver to work in certain ways like a razor and it can cut even long facial hair and will cut many hairs with one stroke along the skin. As far as the closeness of the cut goes, it seems that the OneBlade shaves no closer than a normal electric shaver, and according to some of the reviews the result is slightly inferior. So, is it permitted or forbidden? If one focuses on the first reason to permit – the closeness of the shave – then using this shaver would be permitted. Likewise, reason 2 would also dictate that it is permitted since this device also cuts via a dual-blade scissors action and does not cut directly against the skin. It also is not a razor according to reason 4 as it is not the classic instrument to use to achieve the best shave, despite its design. Only reason 3 would not permit such a shaver, since the OneBlade does function like a razor in its ability to cut long hairs and to cut a lot of hairs at once. However, this reason has come into the halakhic discourse only recently and has not found serious currency amongst the poskim; there is no need to adopt this criterion as the defining one. One final note. Many electric shavers have trimmer attachments. These trimmers also operate with a cutting motion and with a guard that prevents the blades from coming in contact with the skin and thus may likewise be used to shave one face and beard. They may not, however, be used to shave one’s sideburns shorter than the required minimum length since, as noted above, Shulkhan Arukh rules that sideburns may only be cut with a scissors, and not with a scissors-like-a-razor, in other words, not with a shaver or a close-cutting trimmer. In conclusion, one may shave with the Norelco OneBlade shaver. This follows the poskim that do not require that very sharp blades need to be dulled. In our community, the practice is to permit all electric shavers, as all of them cut with a dual-blade cutting action, do not cut directly against the skin, and do not provide a totally clean shave. All of this applies to the OneBlade shaver, and this shaver is fully permissible for use. Others explain that giluach refers to the normal way in which hair is cut, see Tosafot Nazir 40b, s.v. u’pi’at zikanam. 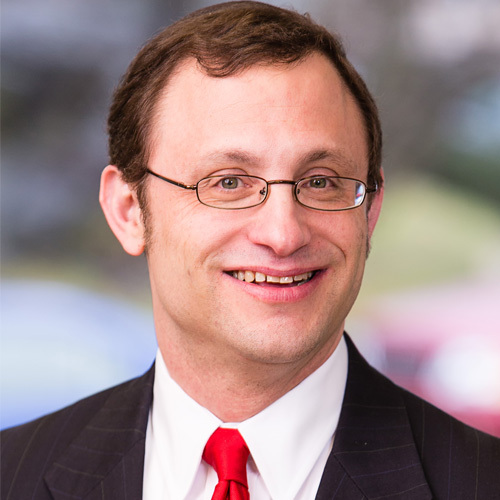 Responsa Chelkat Yaakov, YD 89: פה מחוץ למדינת פולין, באשכנז והונגריה אף החרדים מסירין זקנם… ומכונה עלעקטרית הגרוע שבכולם, והרבה חרדים מתירין גם בזה עפ”י הוראות רבנים שמחוץ לפולניה. See also Yitzchak Yeranein, vol. 1, 2:6 and Yabia Omer, vol. 9, YD 10, no. 14-15. This was true even in the Chafetz Chaim’s yeshiva, although the Chafetz Chaim himself came out strongly against their use, see Shut Beit Avi, 3:119, as quoted in Yabia Omer, supra: שאף שבליקוטי הלכות “החמיר” מאד בגילוח הזקן, הרי בישיבת החפץ חיים עצמו בראדין, היו הרבה בחורים שלמדו בישיבתו, והיו מגולחי זקן במכונה, ומדשתקו להו רבנן, ש”מ שאין איסור בדבר, ושגם עתה בזמנינו אין להרעיש על המתגלחים במכונה. This position is articulated first by Chatam Sofer, who emphasizes that the Torah does not use the word “razor” in connection with cutting one’s beard, but only speaks about “destroying,” haschatah (Responsa Chatam Sofer, 1:154, “דהרי תער לא כתיב בקרא אלא לא תשחית”). This approach is supported by Rashi’s statement that scissors do not fully destroy the hair as they do not cut it at its root (Makkot 21a, s.v. talmud lomar: ומספרים אינן משחיתים שאין חותכין שיער בצד עיקר כתער). According to this, the meaning of “scissors like a razor” is shave that is very close to the face, but not as close as an actual razor. This approach, like the first one, focuses on hashchatah, destroying, but as defined by the process, not the end result. This position emerges from Trumot HaDeshen (no. 295). Trumot HaDeshen notes the practice of Rav Yaakov of Kinon (a contemporary of Rabbeinu Shimshon of Sens), who would instruct his barber to not move the bottom blade of the scissors when cutting his beard, out of fear that the bottom blade would cut the hair in a similar way as a razor (see Rash miShantz, Makkot 20a, Piskei Tosafot Makkot 27-28, and Ritzvah Makkot 21a). It is possible that the concern here was the closeness of the shave (the bottom blade cuts closer to the face than the top one), but Trumot HaDeshen clarifies that it would only be a problem if the bottom blade were also very sharp, allowing it to cut by itself and not in conjunction with the top blade (אמנם נראה דנכון ליזהר שלא יספר פאת הזקן במספריים שהוא חדוד מאד, דליכא למיחש שיחתוך התחתון ולא העליון אלא כשהוא חדוד מאד, אבל אם אינו חדוד אי אפשר לתחתון בלי דבוק העליון). This position assumes that it is the single-blade cutting, as opposed to the double-blade cutting, which defines the cutting to be like a razor. The focus on the instrument can be seen in the Mishna’s statement that “one does not transgress unless he uses a razor” (Makkot 20a), and is perhaps derived from the Torah’s explicit identification of a razor in the case of the shaving of a nazir and the shaving of the Leviim (see Nazir 40a). This approach, together with the above approach that focuses on the process, is supported by the statements of Tosafot (Nazir 40a,s.v. ela eima), Rambam (Laws of Nezirut 5:11), and others, that cutting with “scissors like a razor” refers to a cutting of the hair at its very root, the exact same result as cutting with a razor itself. See also Prisha (YD 181:3) who states that מספרים כעין תער, which is permitted here, produces a totally clean shave: במספריים כעין תער. רצה לומר לספור כל השער עד שיהיה חלק כאילו ספר בתער. The difference, then, must either be in the instrument used or the process of cutting, not the end result that is achieved. Shevet HaLevi 4:96 and Minchat Yitzchak 4:113. Also see Chachmat Adam 89:16, Kitzur Shulkhan Arukh 170:1, and Chelkat Yaakov, YD 90. Additionally, see Chaftetz Chaim, Likutei Halakhot, on Makkot 20a: פירש רש”י, דרך לגלח בו ומשחית, והיינו תער, אבל רהיטני משחית ואין דרך לגלח בו, והנה לפי”ז המאשינקע /המכונה/ החדשה, שמספרין בם… שמגלחין כתער ממש, ותולש השער לגמרי, ולא נשאר מאומה, המספר בם את זקנו, לכאורה עובר על מה שכתוב, ופאת זקנם לא יגלחו, ושומר נפשו ירחק מזה מאד. However, a number of poskim believe that the Chafetz Chaim was referring to safety razors and not electric shavers,see Meged Givot Olam, p. 95. See, for example, Rav Elyashiv, as quoted in Yabia Omer, ibid. : שמכונת גילוח מותרת אם אחר הגילוח, השיער מורגש כאשר ממשמש בידו נגד דרך גידולו. Those who suggested this solution include Rav Tzvi Pesach Frank (Hagahot YD 143, and as quoted in Chelkat Yaakov 90). Those who were skeptical whether someone could successfully do this, and who were not prepared to consider the act of pressing close to the face a פסיק רישא דלא ניחא ליה, include Minchat Shlomo, 2:97:6 (old edition) and Rav Ovadya, ibid., no. 17. Many poskim make the point that the screen which stands between the blades and the face is what permits an electric shave to be used. It is not always clear whether this is relevant because it prevents the hair from being fully destroyed – the result-based approach – or because it is not a razor-like cutting, as discussed below. See, for example, and Rav Yosef Eliyahu Henkin, Edut LiYisrael, p. 145. As discussed in an earlier footnote, this approach is supported by the many Rishonim who define hashchata as a cutting of the hair at the root, see for example Rashi (Makkot 21a, s.v. talmud lomar): ומספרים אינן משחיתים שאין חותכין שיער בצד עיקר כתער. See, for example, Shaol Sha’al, YD 106: לע”ד אין דברי החת”ס ראייה, דלעולם יש לומר כל שהוא פחות מכשיעור אין שם שער עליו ואעפי”כ אינו חייב בגילח במספריים לפי שהתורה הקפידה על השחתה וגם אם העביר כל השער לא מיקרי השחתה כל עוד שנשארו עקבי ושרשי השערות . Some authorities also attempt to defend the use of shavers even according to this approach by arguing that destroying the hair would only be defined as pulling it from its root in the follicle and not as cutting it at its base against the skin, see Minchat Shlomo, ibid. This position does not seem to correspond with the facts, since a razor only cuts the hair at the base, and does not pull it from its root, while some shavers – those with a lift-and-cut system – actually cut some of the hair below the skin (by temporarily pulling lifting it out of its follicle), at least in theory. See Chelkat Yaakov, ibid: והנה מכונה שהעולם ואף החרדים נוהגין היתר עשוי’ באופן זה, את הסכין מכסה רשת דק והוא נח, רק הסכין שעל הרשת נע, וע”י שהשער נכנס בתוך הרשת והסכין עובר על גביו נעשה הגילוח, באופן דהוי ממש כמו מספרים כעין תער שהגילוח נעשה רק בחלק העליון. See also Shoel vi’Nishal, 3:412, Divrei Yaziv, YD 61 and Yabia Omer, ibid., no. 15. This position is also attributed to Rav Moshe Feinstein, see “Electric Shavers,” by Rabbi Moshe Heinemann, on the Star-K website. This position emerges from Trumot HaDeshen (no. 95); see above, note 6. See Rav Heinemann, supra, who states that Rav Moshe Feinstein would test the blades to see if they could cut a hair that was being held taut without the use of an opposing blade. Of course, the very act of holding the hair taut provides some of the resistance that would have been provided by an opposing blade. Even if a blade could, by itself, cut a taut hair, there is no evidence that it could cut a hair growing from one’s face. Others have reported that Rav Moshe would test the blades to see if they could, on their own, cut the hair on one’s arm, which would produce more accurate results. See Yabia Omer, ibid., no. 15, quoting Yitzchak Yeranein vol. 1, 2:6, and the in-depth analysis of this in Mechonot Giluach, pp. 45-58. For a scientific study on this topic, see “FEM Simulation of Single Beard Hair Cutting with Foil-Blade-Shaving System,” in Journal of the Mechanical Behavior of Biomedical Materials 46, March 2015, pp. 271-284. In “Electric Shavers in Halacha,” the author raises the concern that the foil of foil shavers may cut without the joint action of the blade. The FEM Simulation article, supra, shows that this is not the case. This may also be based on one of the other approaches discussed here that bases the permissibility of shavers on something other than its cutting with a scissors action. See Har Tzvi, ibid. and Rav Yosef Eliyahu Henkin, Edut LiYisrael, p. 145. It seems that Hazon Ish, as quoted in Minchat Yitzchak, ibid., agreed in principle that if the blade did not touch the skin it would be permitted, but he believed that all shavers cut directly against the skin. Alternatively, as discussed above, these poskim may be focusing on the end result and making the point that due to the screen a little part of the hair will remain. It is not always possible to tell from their language which of these two definitions – a result that is a very close-shave result or an act of shaving that is done by cutting against the skin – is the operative one. See Har Tzvi, ibid. and the letter of Rav Tzvi Pesach Frank quoted in Chelkat Yaakov, ibid. Rav Shabtai Rapoport, “Shaving with a Shaver,” (Hebrew), in Techumin, vol. 13, pp. 200-208. Rabbi Rapoport also argues that in the end all shavers require the dual action of the blade and screen to cut the hair. Quoted in the name of Rav Moshe Feinstein in “Electric Shavers in Halacha,” p. 8, on koshershaver.org. See Yabia Omer, ibid., no. 16, in the name of Rav Eliyahu Weisfish. The best description I found was in a review on the moo.review website: https://moo.review/philips-norelco-oneblade/.